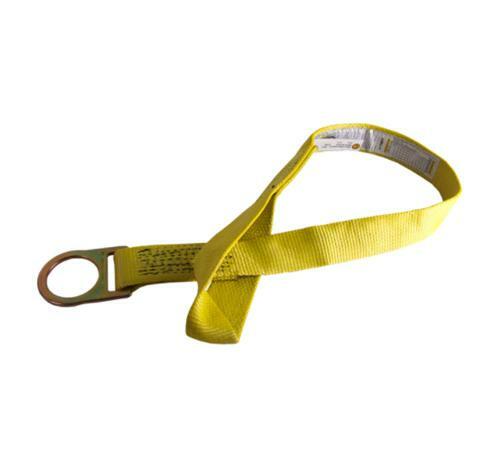 6 ft Guardian Fall Protection Cross Arm Strap w/ Pass Thru Loop at Capitol Materials Coastal, Inc. The Guardian Fall Protection Cross Arm Strap is a reusable anchorage connector that can be used in a variety of fall protection applications. To use, loop over a steel support beam or other compatible anchor, and pull the small D-ring through the pass-through loop (or second, larger D-ring). Connect to the Cross Arm Strap D-ring with a compatible lanyard or SRL, and you are ready to work. Capitol Materials Coastal carries a full range of commercial and residential construction supplies, and our crews are fully trained to deliver to commercial sites. Our delivery fleet is dispatched from six locations across the southeastern U.S. including two yards in Georgia, five yards in South Carolina, and one yard in Florida.